A few weeks ago, Kevin and I took an Alsatian cooking class where we learned how to make some delicious, hearty dishes. Alsace is a region in France that borders Germany and Switzerland, and its cuisine has elements from all three countries. 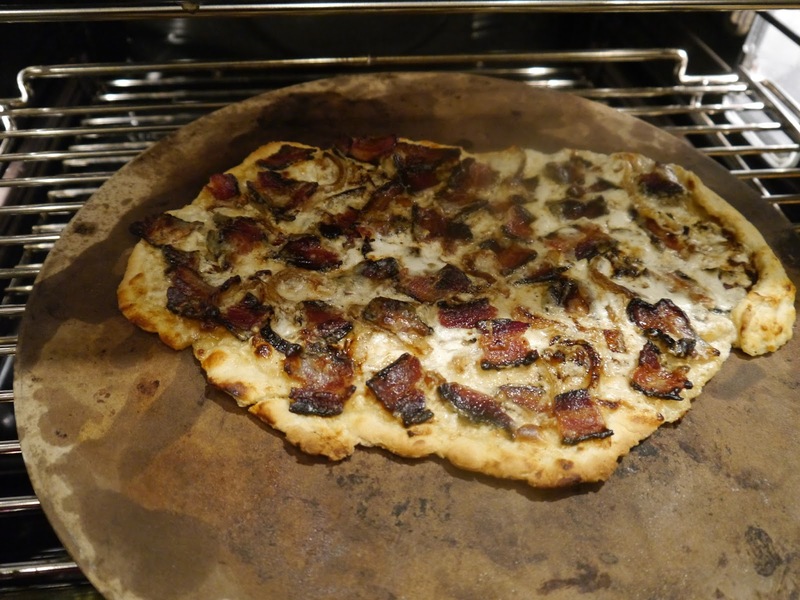 Flammekuece is similar to pissaladiere, but is more robust and somehow suited better for colder weather. This recipe is easy to prepare, and if you don’t feel like making the crust, pizza dough can be substituted. 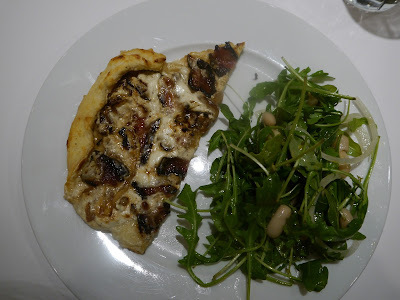 Flammekueche is rich and decadent, and perfect with a light salad and a glass of dry, white wine. Preheat the oven to 400°F, or if using a pizza stone, heat oven to 500°F. 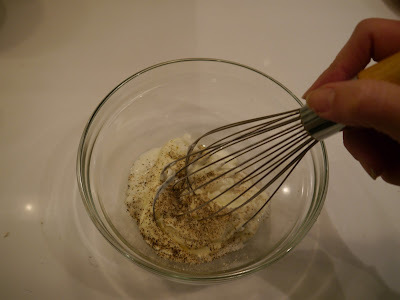 Whisk flour, baking powder and salt in a bowl. Make a well in the center. 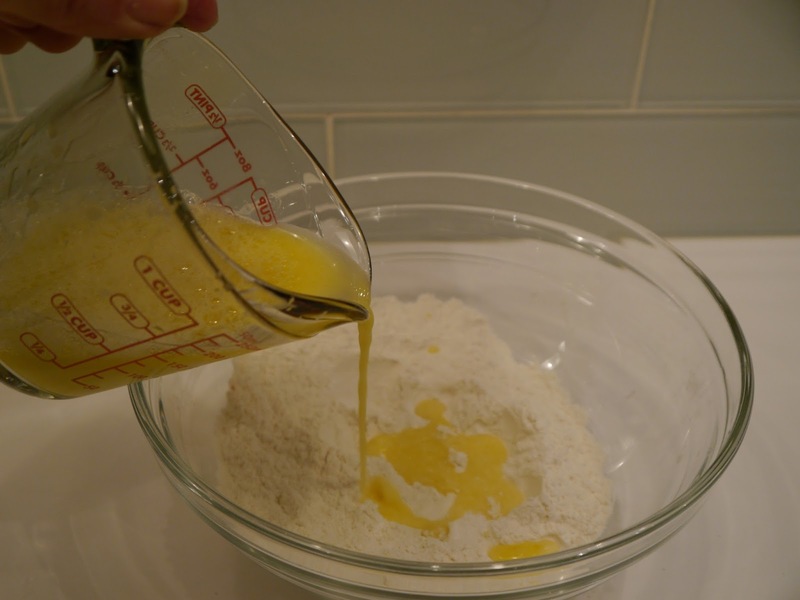 Whisk oil, egg yolks and water in another bowl and pour into the well. 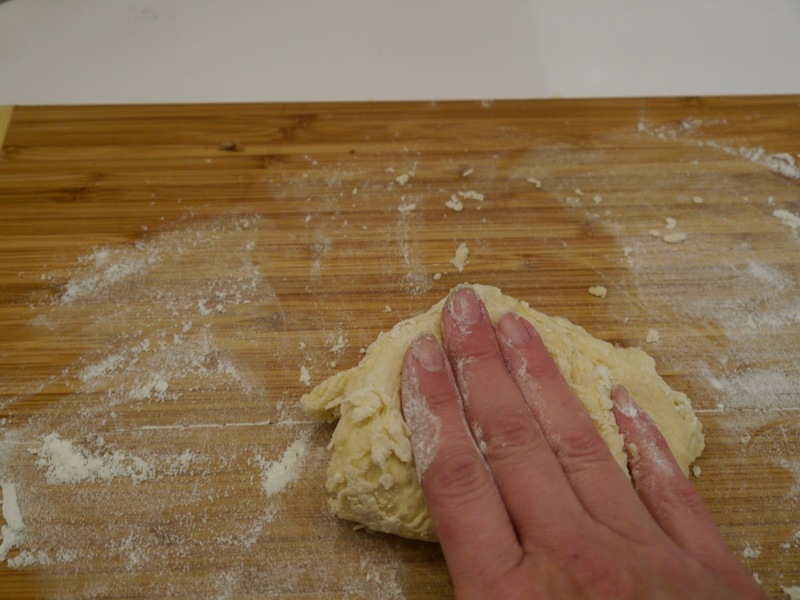 Using a fork, stir until a loose dough forms. 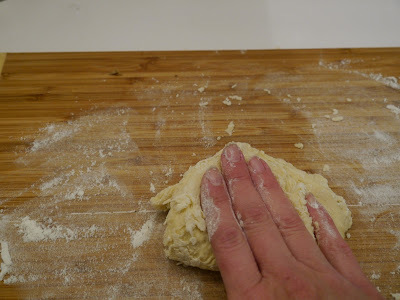 Turn out onto a lightly floured surface and knead for a minute. 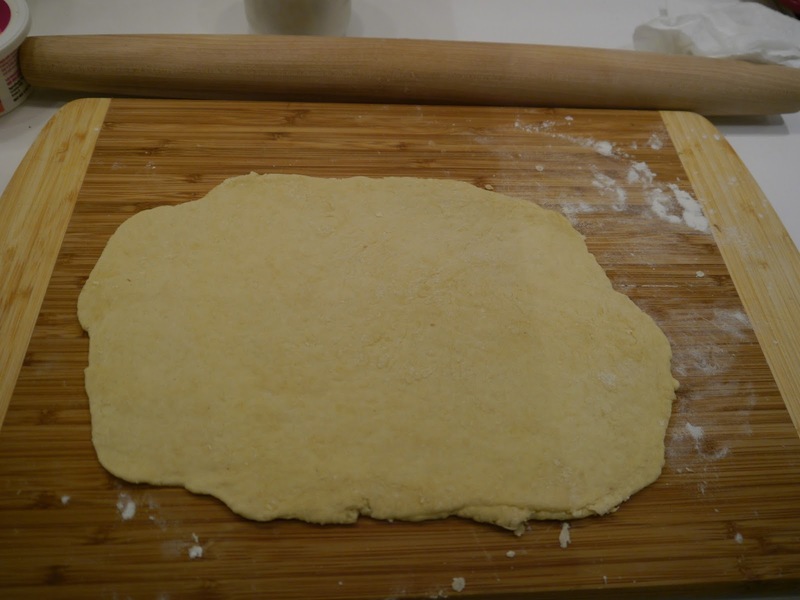 Divide dough into 3 pieces. Working with one piece of dough at a time, roll into a 10-inch oval and place on a parchment lined baking sheet. Repeat with other dough balls. 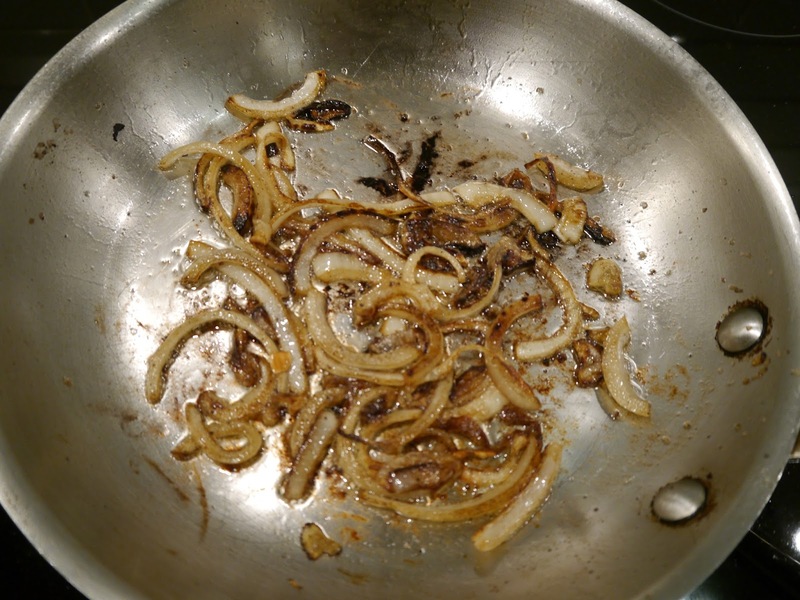 In a large pan, sauté the onion until caramelized and soft. In a bowl, combine the crème fraiche, fromage blanc, nutmeg, salt and pepper. 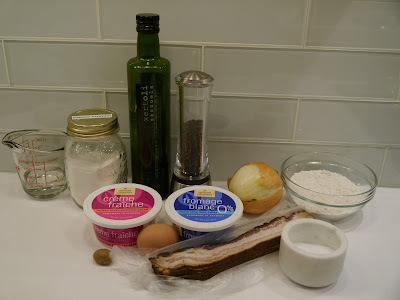 Spread 1/3 of the mixture onto each of the crusts. Evenly sprinkle with caramelized onions and bacon. 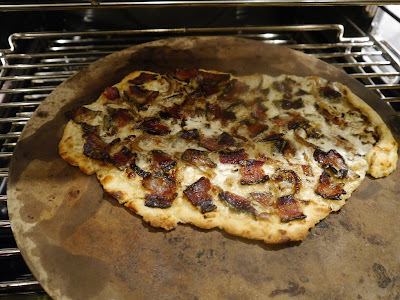 Bake on a baking sheet or pizza stone until lightly browned and crisp, about 8-10 minutes. Serve warm.